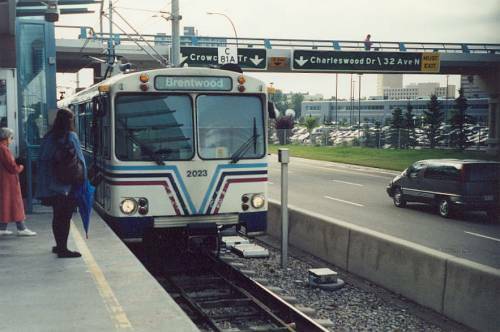 Calgary, which lies south of Edmonton in Alberta, operates a 2 line system. 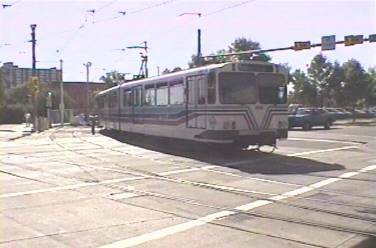 Trains operate on a city street transit mall in downtown with buses. 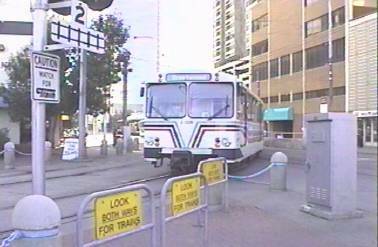 However, the line utilizes high-level platforms, making for an interesting site in downtown. 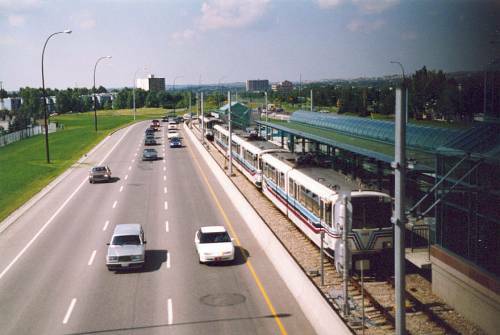 Calgary uses the nearly industry standard of the Siemens U2 light rail car.Automated Tickets are used for travel on this line. ;This system continues to grow! It is also proud that its trains are powered by wind. Okay, the electricity used to power the trains is produced from wind power! 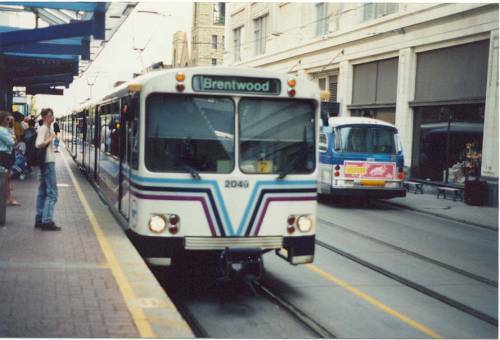 Train seen at the Brentwood Terminal Train seen on the downtown transit mall, note the old GMC bus. Another view at the Brentwood Terminal. 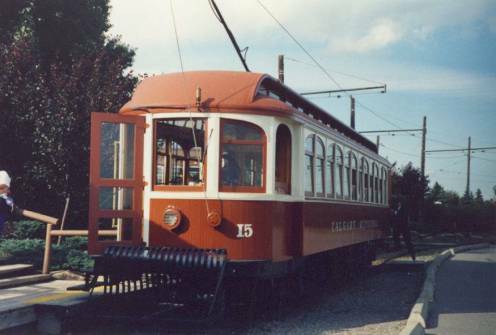 An old Calgary car at Heritage Park, it serves as a parking lot shuttle.